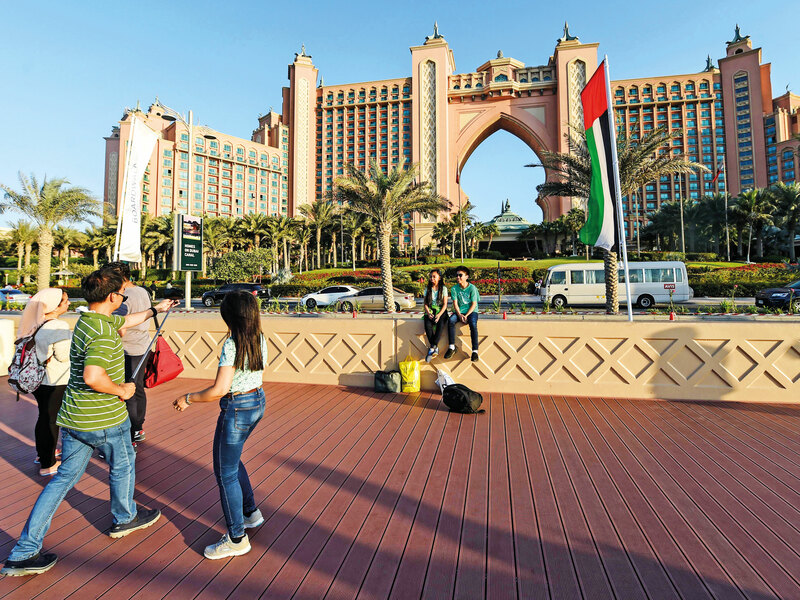 Dubai: The Atlantis — one of Dubai’s most recognisable hotels — is currently sinking a quarter of a billion dollars into a two-year renovation which includes importing new sand to its beach and repainting its entire exterior. The hotel, which was one of the first to open on the Palm when it launched 10 years ago, is facing increasing competition from new entrants to the neighbourhood. The Hilton Palm will offer 600 rooms when it opens in the first quarter of 2019, while Marriott International are scheduled to open the W Palm, the Marriott Palm, and the St. Regis Palm soon. In total, a further 10 or more hotels are scheduled to open on the man-made island in the next two years. Responding to this pressure, the company is spending $250 million (Dh918 million) on work to revamp the hotel. Aquaventure water park, the hotel’s centrepiece, will be joined by a new attraction named the Wavehouse, which will offer family-oriented evening entertainment, according to the company. Both will then be linked back to the main hotel. The destination, which will span over 2,000 square metres, is set to feature retro arcade games, bowling, a 15-metre-tall play structure, in addition to restaurant facilities, a terrace, and a licensed bar. Elsewhere, work is under way on refitting the club lounge, adding a new lobby lounge and VIP check-in, and painting the outside of the hotel. A number of bars are also being overhauled. Kelly said that the hotel was even importing fresh sand for its private beaches. “We went to Ras Al Khaimah and got truckloads of sand. We sifted it, and brought it out to the hotel because we wanted it to be a bit more fluffy,” he said. Among the many hotels scheduled to open on the Palm is the $2 billion (Dh7.35 billion) Royal Atlantis, a modern, ultra-luxury property that is far less palatial than its predecessor. Kelly acknowledged that with a shiny new family member opening just a few miles down the road, it was forcing the Atlantis to up its game. “I think what’s important for us, with the Royal Atlantis coming on the horizon, is for the property to look the way it did the day it opened,” he said. While both are owned by Dubai’s sovereign wealth fund, Kelly said he was not concerned by the potential for cannibalisation.